A heavy shaker influence can be seen with our Amish English Shaker Panel Bed. The clean straight lines and simple design of the Amish panel bed will help it stand out in any bedroom! 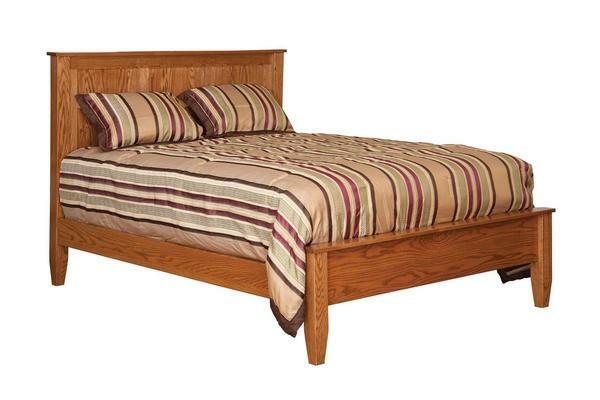 The wooden slats and solid wood construction of this bed will support your mattress and foundation with ease. Purchase your English Shaker Panel Bed in a custom wood and stain combination that best suits your bedroom interior. If you would like assistance choosing a wood and finish that will match your taste and style please call us today at 866-272-6773. Our fully staffed team of Amish Furniture Specialists will be happy to assist you in any way they can.